If you’re in business for yourself, then you know how critical marketing is to the survival and long-term health of your business. You MUST have a steady flow of customers coming into your business, or else you’ll struggle to keep the lights on. Unfortunately, a lot of businesses struggle with marketing. And today, I’m going to simplify the 3 main reasons why marketing fails. Question: Where’s the best place to start getting traffic? Answer: We almost always recommend starting with search engine marketing because you can get in front of people who are eager to buy what you’re selling. Question: Should you start with search engine optimization (SEO) or pay per click (PPC) advertising? Answer: Either is a good choice, but it depends on your situation. If you have a budget to work with, then we suggest using PPC right away (and specifically, we recommend Google AdWords) because you’ll get traffic faster. The advantage of advertising is speed. Meanwhile, we also recommend you invest in SEO, as early as possible. SEO is one of the best marketing investments you’ll ever make. Just know that it will take some time before the traffic starts to accumulate. If you’re starting from scratch, you’ll most likely be waiting at least 30 days before seeing significant increases in your traffic. Here’s another key point: NEVER rely on just 1 source of traffic, or you’re putting your business at risk. No matter how much traffic you’re getting to your website, your marketing efforts will fail if you can’t convert website traffic into paying customers. If your conversions are really low, then the first thing to assess is the quality of your traffic. You need to focus on attracting people who are able and ready to buy what you’re selling. Assuming you’re getting quality traffic, then the next thing you should look at is your offer. Take a look at what your competitors are offering and make sure that your offer is competitive or superior. How does your pricing compare? Can you offer a stronger guarantee? Etc. Do you know which of your marketing efforts are working to attract new customers and which aren’t? 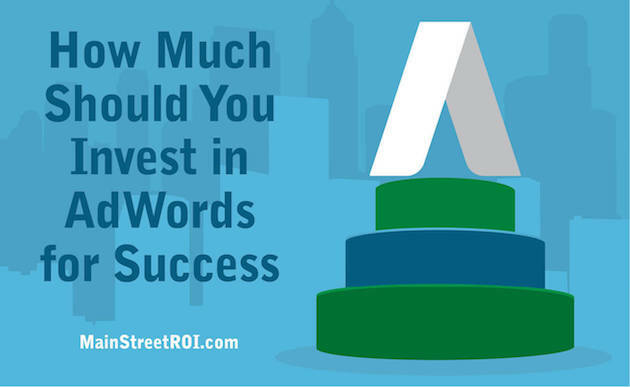 In other words, do you know what marketing investments have the highest and lowest return on investment (ROI)? If you answered “No” to either of those questions, you’re not alone. As far as we can tell, most businesses do NOT track their marketing properly. And it’s easy to understand why… Tracking sounds kind of boring. It sounds like hard work. However, tracking is essential to effective marketing. Plus, there are tons of tools that make tracking easy. And I promise you that tracking becomes a lot of FUN when you start actually making money with your marketing. So, in summary, if you want to generate a consistent stream of qualified leads and new paying customers, you MUST have all 3 pillars in place. If you’re lacking any of those 3, then you’re setting yourself up for failure. If you’re frustrated with your online marketing results, or if you’re looking to take your online marketing to the next level, we’re developing a NEW resource that I think you’re going to love. This new resource will help you clarify your very best marketing opportunities, so you start getting more traffic, converting more leads, and increasing your sales ASAP. I can’t say much more at this point because Phil and I are still working hard on developing it for you — it’s still “under construction.” But we’re really excited to share it with you. We’re hoping to have it ready for you in about a week.